Ten novellas featuring circus-performer-turned-private-eye Mongo—“one of the greatest characters of recent mystery fiction” (Ellery Queen’s Mystery Magazine). Originally published in leading mystery magazines in the 1970s, these ten novellas—each introduced with notes from the author—offer new readers and diehard fans alike a tantalizing taste of the unique blend of hardboiled mystery, science fiction, and explosive action of this acclaimed series. In the House of Secret Enemies—which includes The Drop, High Wire, Rage, Country for Sale, Dark Hole on a Silent Planet, The Healer, Falling Star, Book of Shadows, Tiger in the Snow, and Candala—is the 9th book in the Mongo Mysteries, but you may enjoy reading the series in any order. George C. Chesbro wrote 14 novels and 10 short stories about the dwarf private detective Mongo the Magnificent, ex-circus performer turned criminologist. 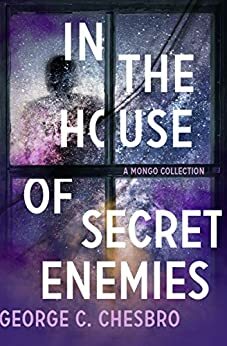 IN THE HOUSE OF SECRET ENEMIES collects those short stories of Chesbro's remarkably cliché free character, nine of them in this collection published from 1971 to 1976 in Mike Shayne Mystery Magazine and Alfred Hitchcock Mystery Magazine. The uniformly fine tales in this book serve as a telling prelude to the Mongo novels which appeared from 1977 to 1996. A fourteenth and final Mongo novel published in 2003 is available only in French. The tenth and final Mongo short story in IN THE HOUSE OF SECRET ENEMIES was also published in 2003, and is in English.